Posted byMei 19 April, 2013 7 March, 2019 Leave a comment on SOMEONE manages TWO kids! This is a new series focused on personal journey with eczema while managing a certain aspect of life. 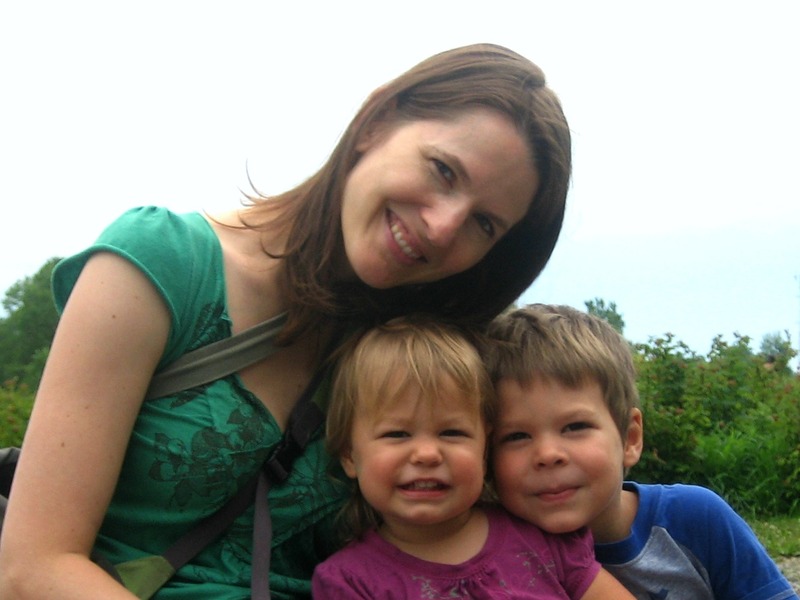 Today, we have Jennifer Roberge, whose eldest son Tristan has had eczema from three-month old and shares how she manages taking care of him while having another child. Jennifer is a blogger at It’s an Itchy Little World and a mompreneur who started her own company and online store The Eczema Company – she’s a return guest on my blog and you can read her first interview on her mompreneur journey here. Marcie Mom: Hi Jennifer, thanks for taking part in my 2013 blog series ‘Someone has Eczema’! Share with us a little on the severity of Tristan’s eczema when you were pregnant with your second child; was it tiring even before the second one was born? Jennifer: During my pregnancy, Tristan (just shy of two years) had severe eczema behind his knees, around his midsection, around his ankles, wrists, and hands. It was dry, flaky, inflamed, and extremely itchy. My husband and I would lie awake with him at night trying to help him settle back down to sleep and try to forget the incredible, over powering urge to itch. So, we weren’t sleeping well to begin with – add to that the end of my pregnancy where sleep tends to evade mothers to be. They weren’t the easiest of times, that’s for sure. The eczema worsened after the baby was born, and continued to cover his body. Around three he was 90% covered, head-to-toe in eczema and resembled a burn victim. It was a difficult balancing act, trying to prevent my son from tearing up his fragile skin and managing an infant. Marcie Mom: I know that Tristan has allergies too. Did you manage to figure out what’s triggering the majority of his eczema flares and his allergies before the birth of your second child? And did being able to manage somewhat his eczema helped in your decision to have a second child? Jennifer: To be completely honest, when we decided to have a second child, Tristan’s skin was much less severe, so his condition didn’t really play much of a part in our decision. When things started to worsen during the pregnancy, my goal was to determine all of Tristan’s triggers and to get control over his eczema before the baby was born, but it didn’t happen that way. We hit rock bottom after the baby was born and when Tristan head-to-toe, severe eczema. No one in the house was sleeping, so we went for extreme methods and did a full elimination diet and saw results within days. It was nothing short of a miracle for our family. Marcie Mom: Do share with us how you manage the breast-feeding, taking care of a new born, when Tristan I suppose do still need attention to his eczema and allergies? What was the toughest part? Jennifer: Tristan needed constant supervision back then, not because he was only two, but because he’d scratch his skin raw if we left him alone for a minute. So, breast-feeding was extremely difficult. Tristan was very jealous and wasn’t a fan of my alone time with the baby during nursing, so when I was alone with the children, I’d cover Tristan’s hands with ScratchMeNot mittens and distract him with a book during nursing. Yes, I managed to learn how to read to him breast feeding! I also remember I relied on an infant wrap a lot during the first few months. I’d have my baby safely attached to me and I’d have free hands to help Tristan when he needed me. The wrap was essential back then. What was the hardest part of it all? When no one was sleeping – not the baby, not Tristan, not my husband or I. It’s one thing getting up to nurse throughout the night, but add to that frequent wakings and hours spent with an uncomfortable toddler that will do anything in his power to scratch until he draws blood. Marcie Mom: One final question – what word of encouragement would you give to someone who just found out she is pregnant with a second child while the eldest has eczema? Jennifer: Buy a good infant wrap or sling. Try to work on determining your child’s eczema triggers before the baby arrives – we waited too late. If your child wakes a lot during the night, try rotating nights with your partner. One night you take all the shifts with your restless child, the next time it’s your partner. And nap as often as you can to catch up on lack of sleep. Marcie Mom: Thanks Jennifer for sharing your personal journey, it definitely strikes a chord with many moms out there!